Four years ago, I blogged about the Olympic Games held in Beijing with its spectacular fireworks display & showmanship that was like no other. 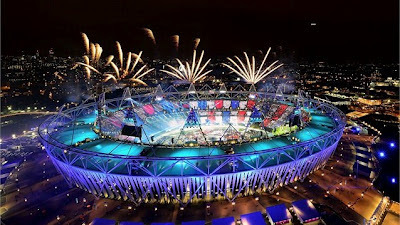 Now in 2012, London set forth to bring us another grand sporting event. Only not as colossal as Beijing. 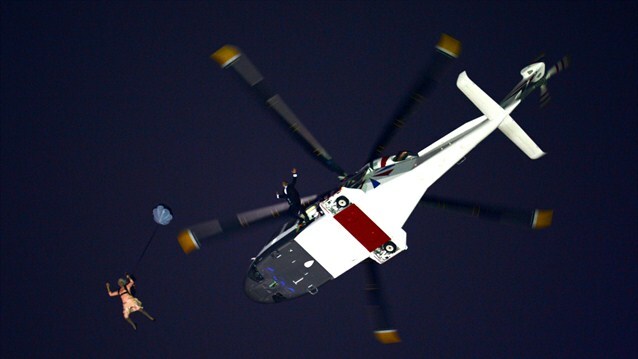 Despite the looming economic gloom, London still managed to pull off quite a feat. Artistic direction was led by Danny Boyle with the theme "Isle of Wonder" taking centre stage, celebrating how British contributed to the world from industrial to digital revolution. Picture here below shows children dancing in the British rural meadow scene. 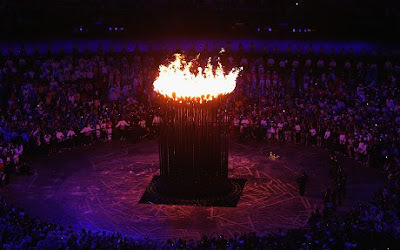 Alas, the most important part of the ceremony was the lighting up of the Olympic cauldron. The cauldron was designed by Thomas Heatherwick, which consist of 204 copper petals representing each competing nations attached to a long pipe. 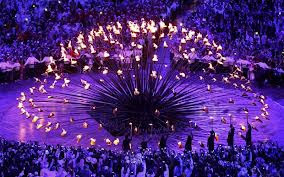 Seven young & upcoming athletes selected by the British Olympians lit the petals with torches, thus spreading the flame from one petal to the next. The petals slowly rise upwards to form the cauldron. 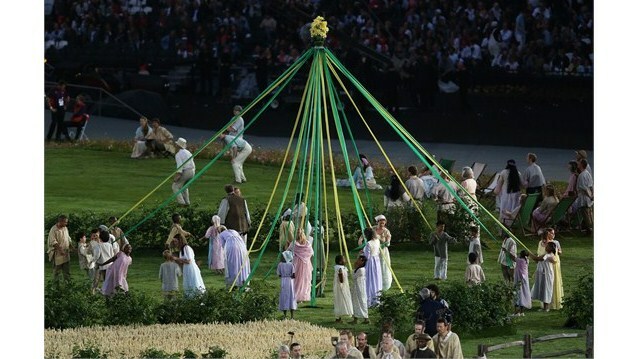 Quite a brilliant idea to light up the cauldron~ But I still prefer how Li Ning sprint mid-air holding the torch to light up the cauldron high up in the stadium back in Beijing 2008. Like I mentioned earlier, no nations would be able to match China's enormous scale but albeit all that, London 2012 is still an interesting watch. I mean, which Olympic Games wouldn't be exciting to watch? It's the shortest sporting festival where you can witness so many events in action for 2 weeks. Let the Games begin!